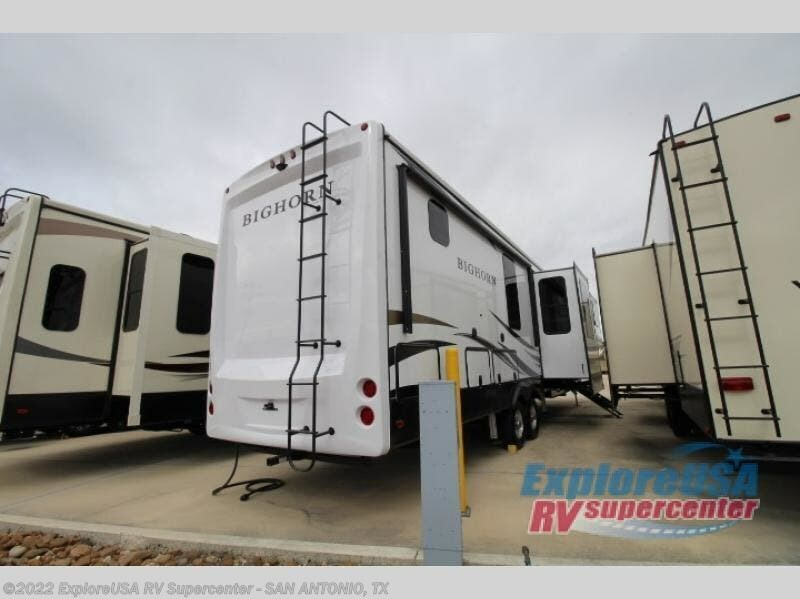 When you are ready for a change from the hustle and bustle of life, then camp with this spacious Bighorn fifth wheel! 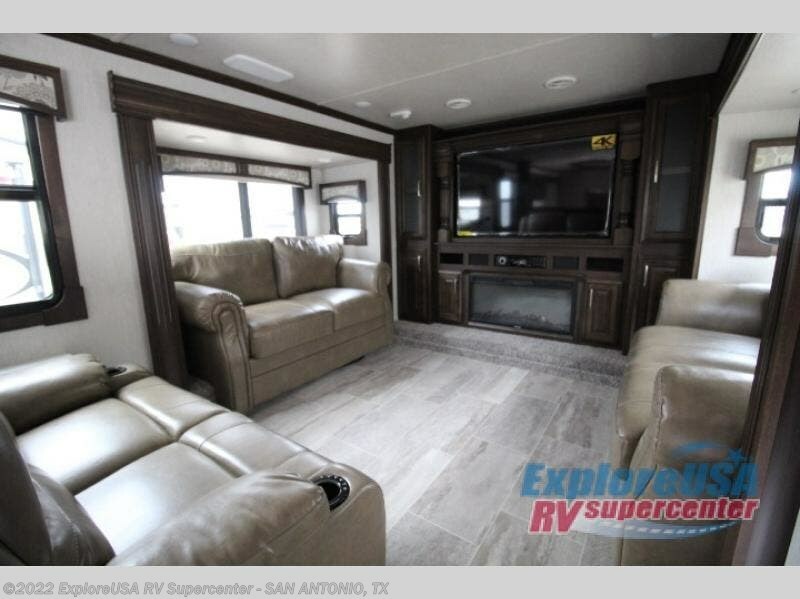 From the minute you enter, you will be impressed with the comforts from the front entertainment center and living area with a 55" LED HDTV, and the dual sofa slide outs to the theater seating. 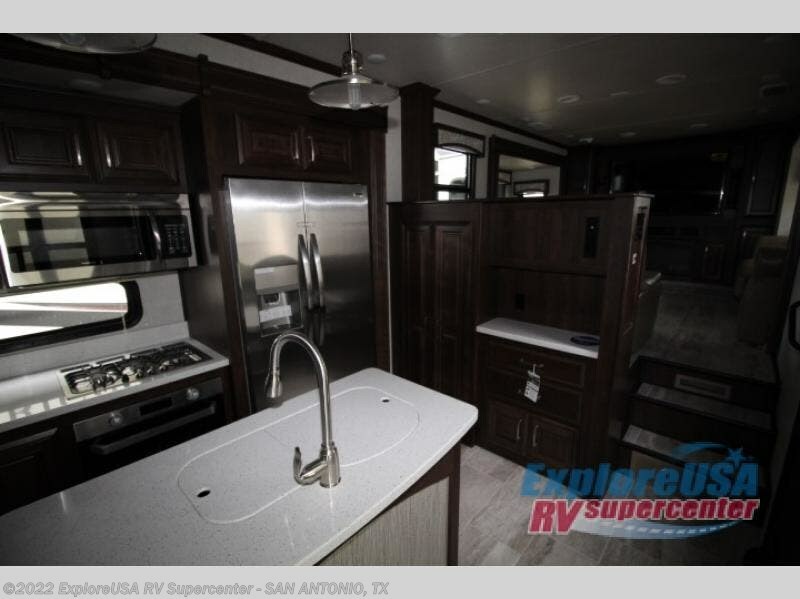 The kitchen has an island with a double sink and extra counter space plus additional storage and lighting. 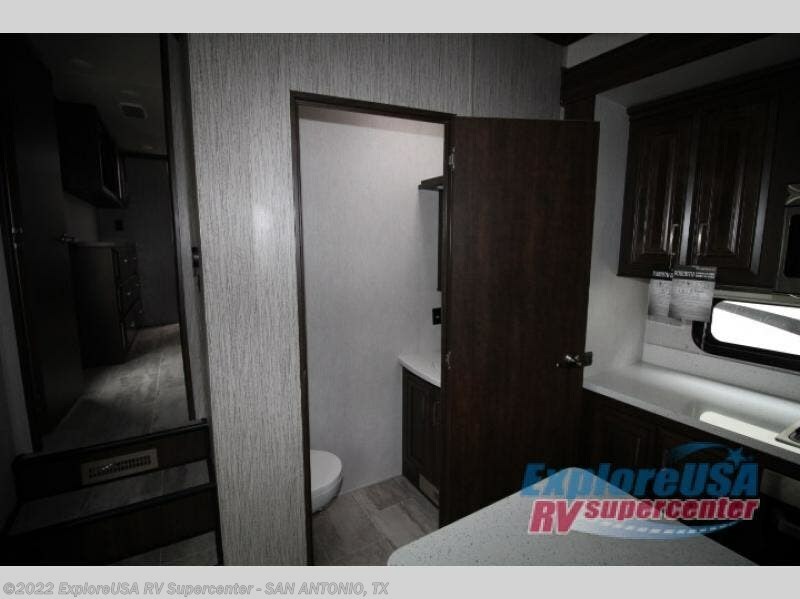 Located off of the kitchen there is a convenient half bath for your guests and those quick trips. 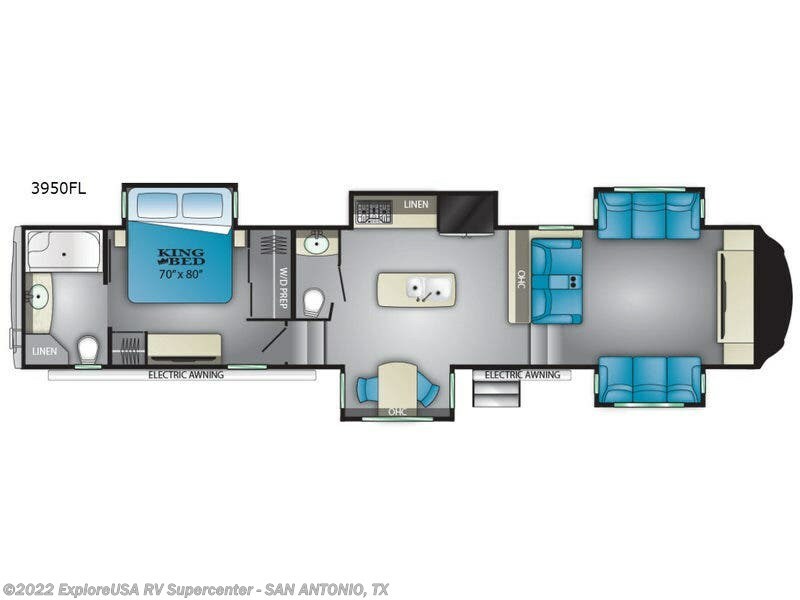 The master walk-through bedroom includes a king bed and a space prepped for a washer and dryer if you choose to add that option. 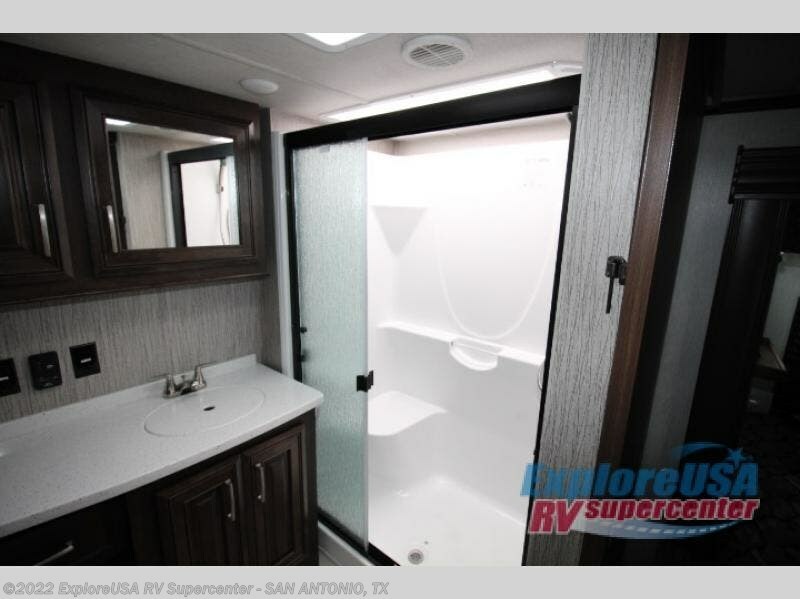 The rear full bathroom is spacious and makes it easy to get ready for the day. 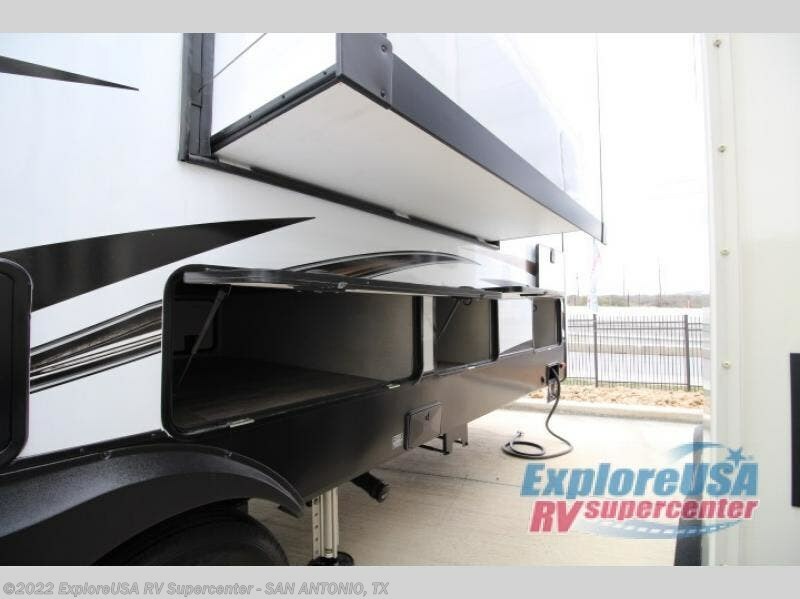 Start your next weekend get-away or stay-vacation off right with this fifth wheel! 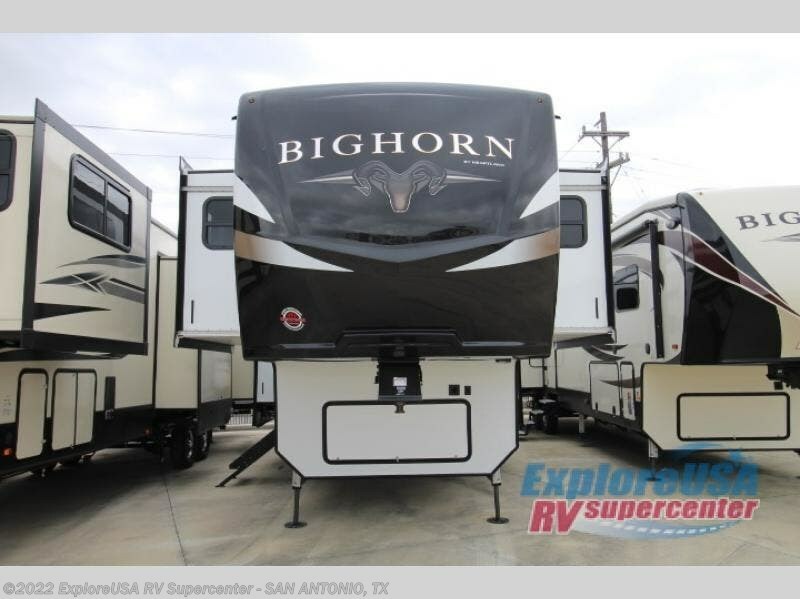 Each Bighorn fifth wheel will give you luxury and affordable features. 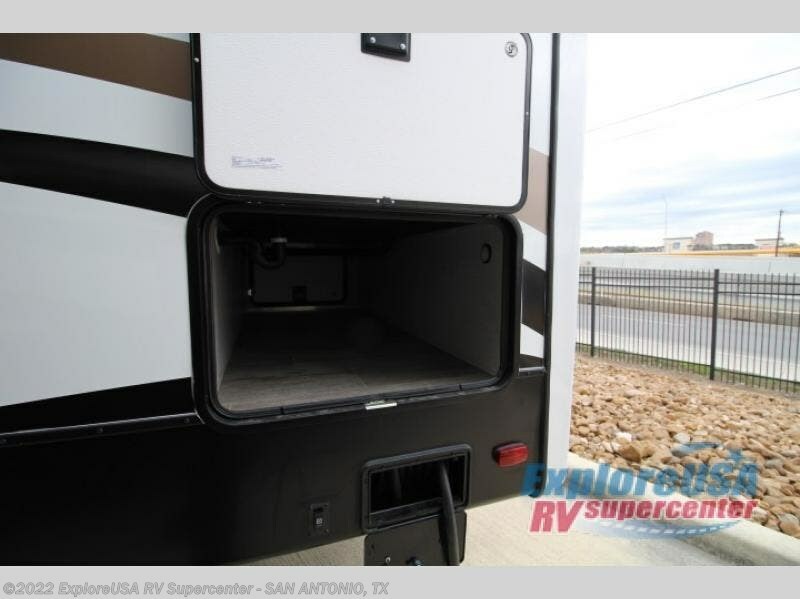 The exterior includes the largest amount of storage with 140 cu. 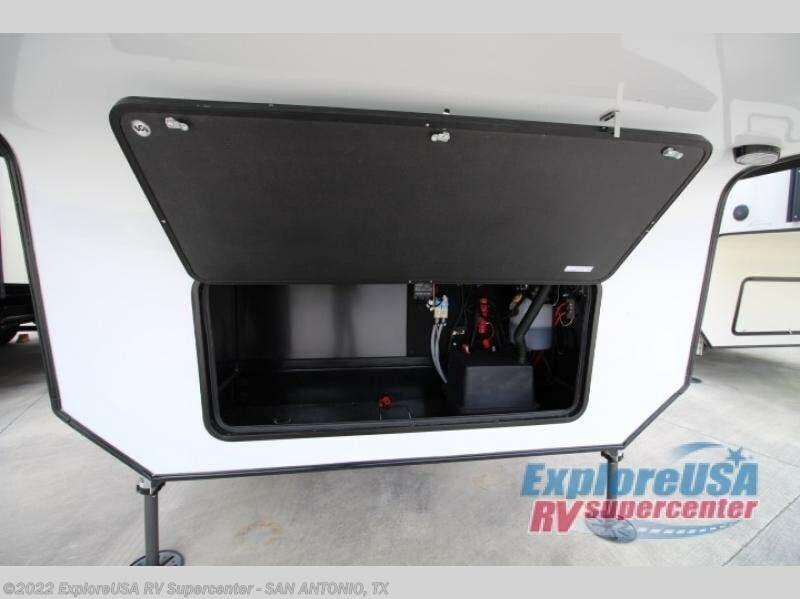 ft. for all of your gear, a Universal Docking Center, an 88 degree turning radius front cap design, hydraulic landing gear, and Mor/Ryde suspension. 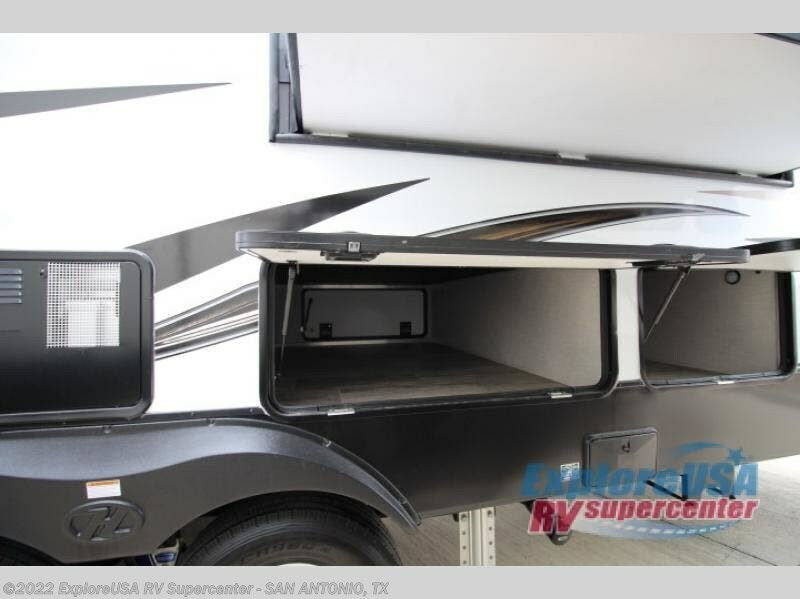 You will also find a heated and enclosed underbelly, tanks and gate valves to allow you to easily camp in all types of weather. 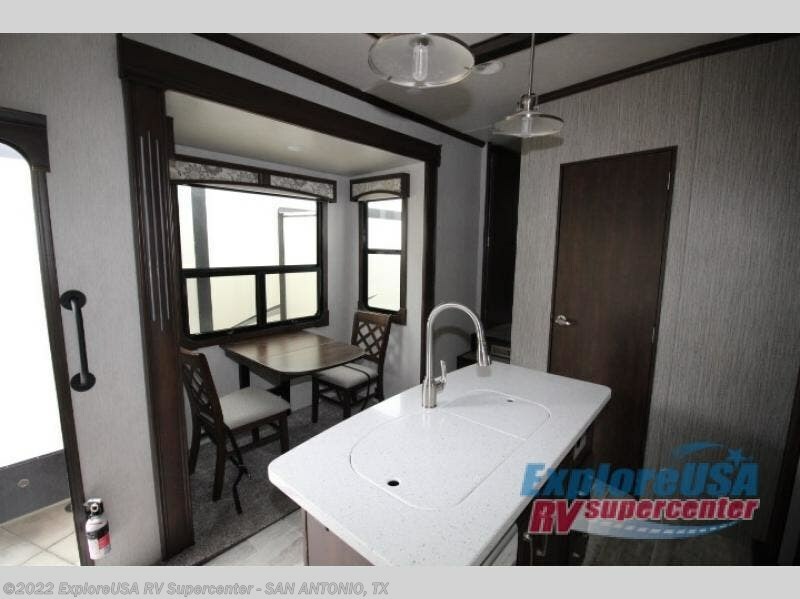 Scenic views are available through the huge panoramic rear bay window and the windows around the dinette. 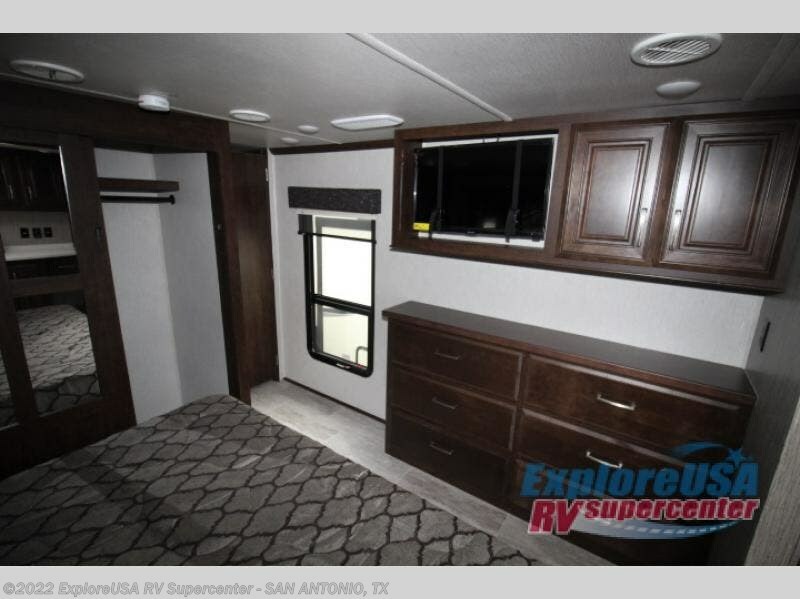 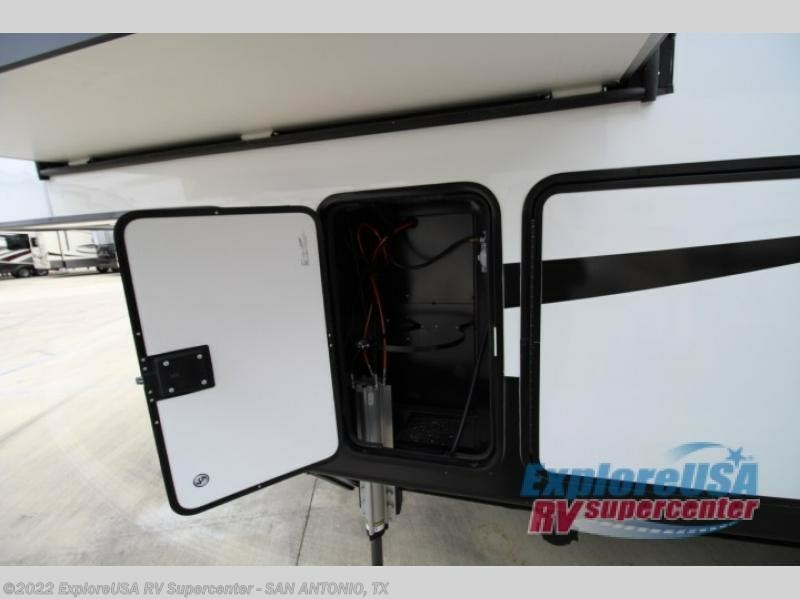 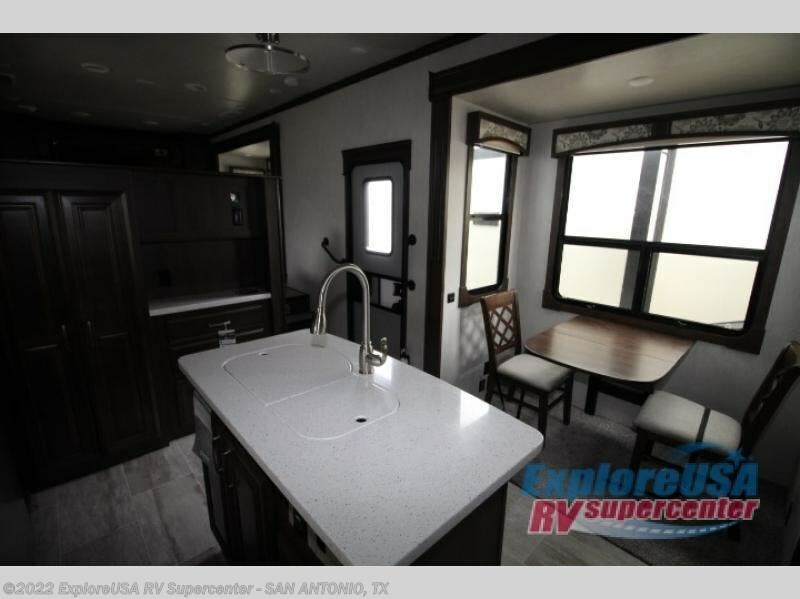 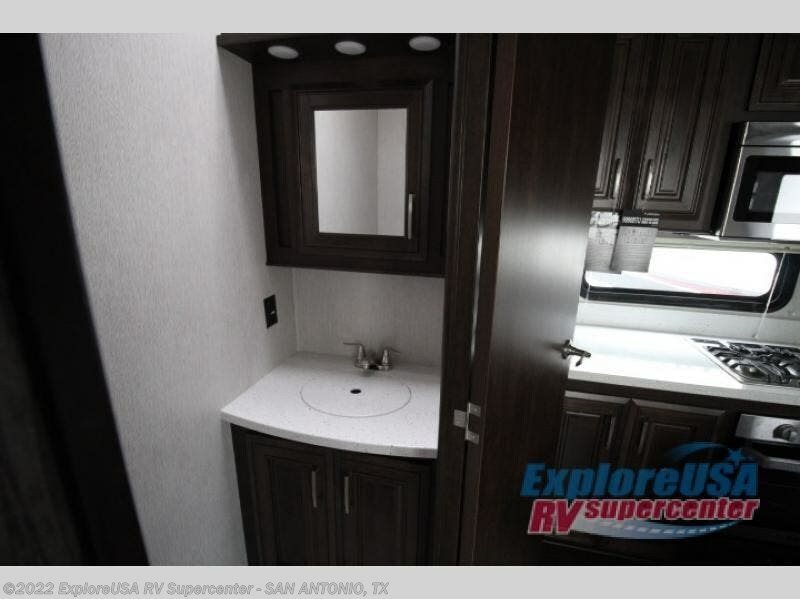 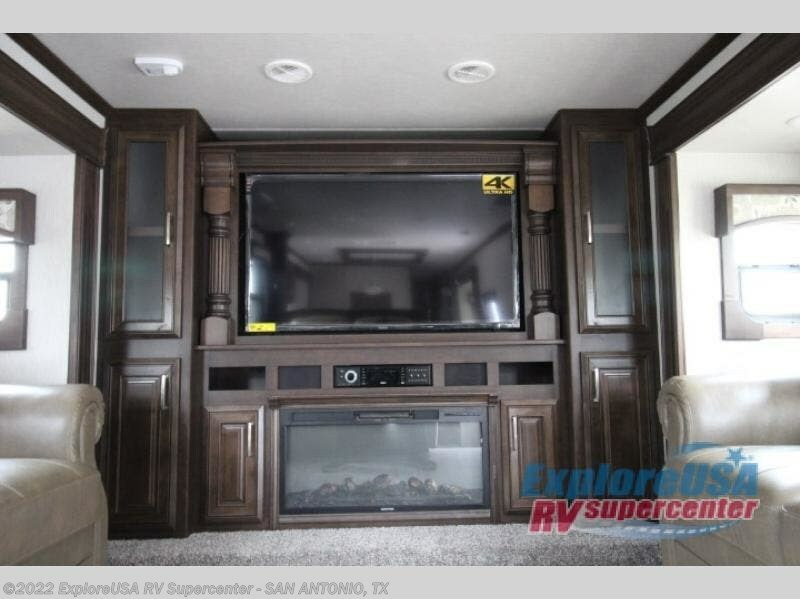 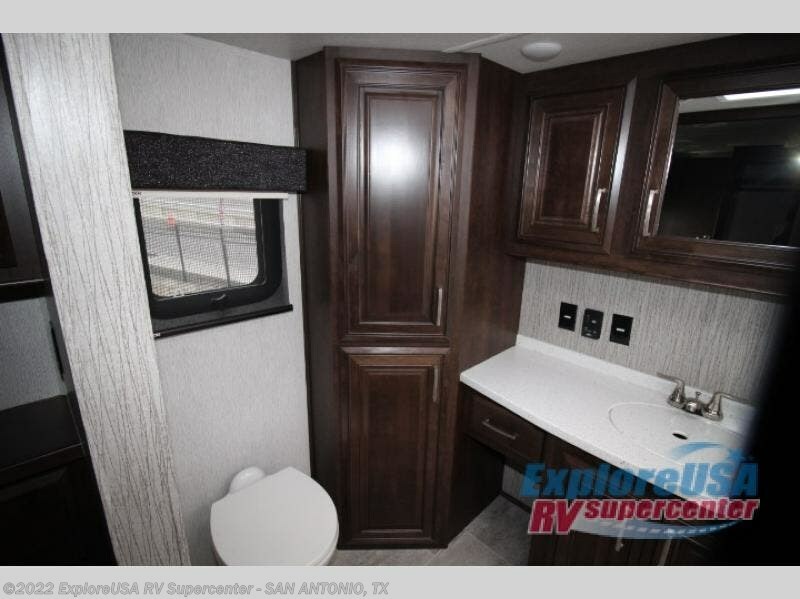 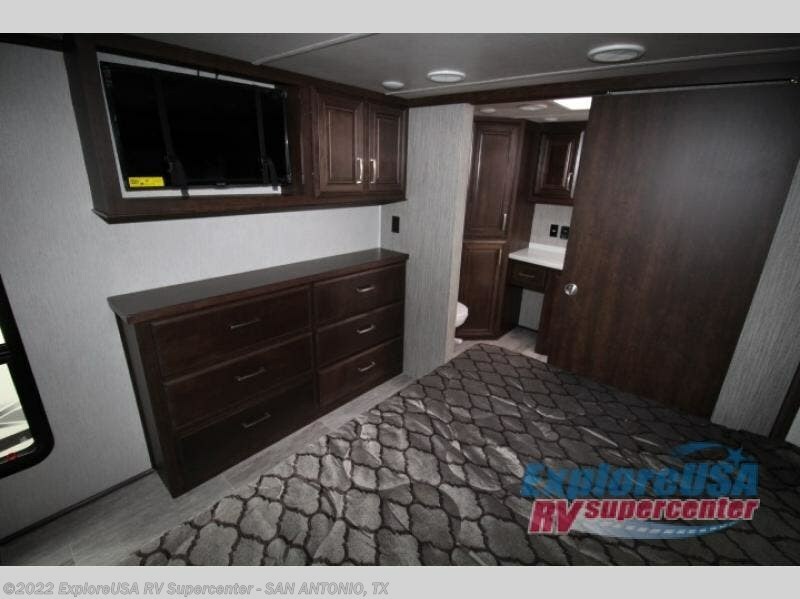 More inside features include hand crafted cabinets including decor glass on all upper cabinets, LED lit crown molding, and the One Control system allowing users to remotely control and monitor many RV systems from a smartphone or tablet. 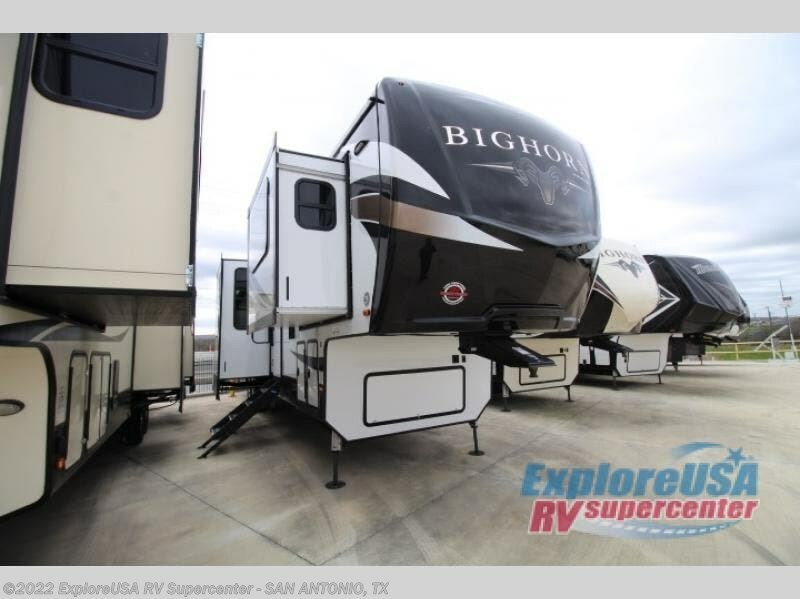 Choose your favorite model and raise your status! 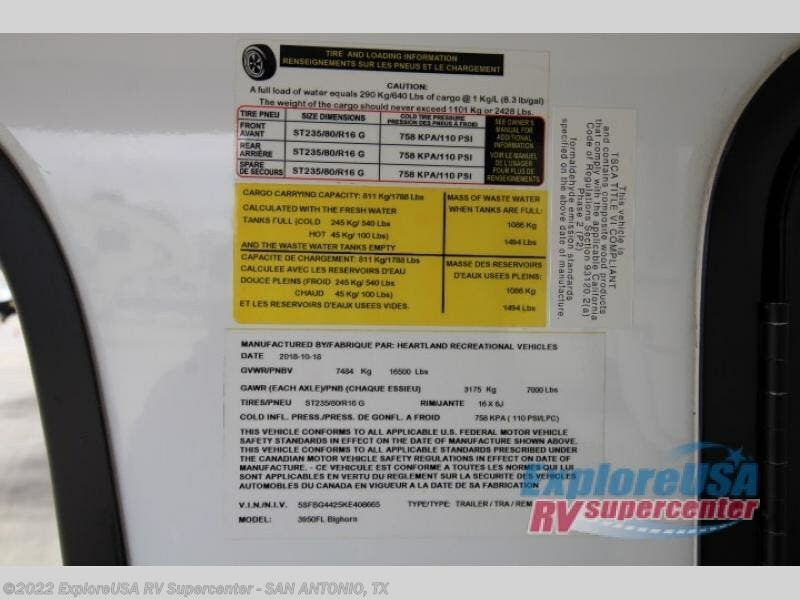 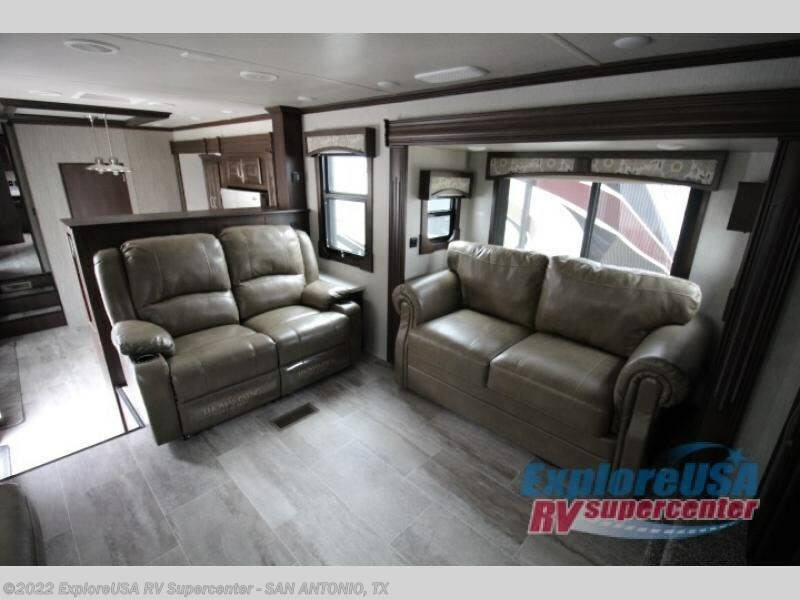 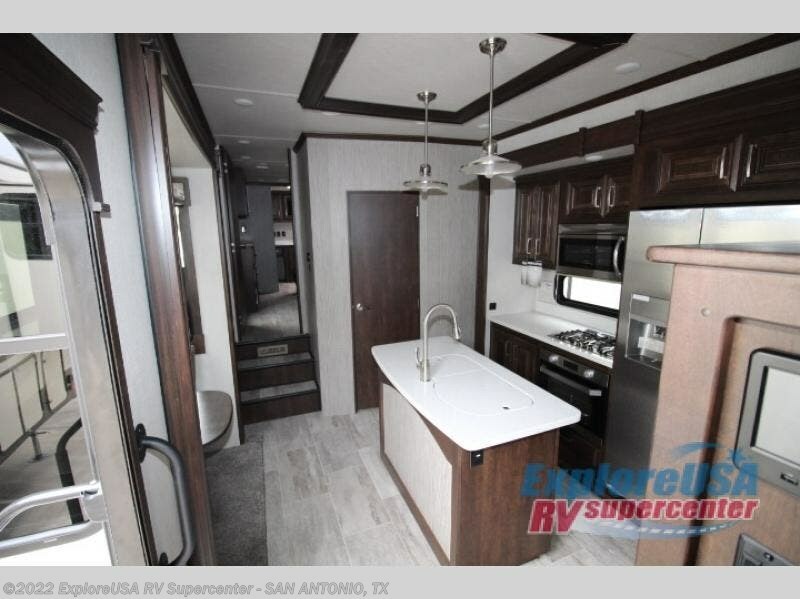 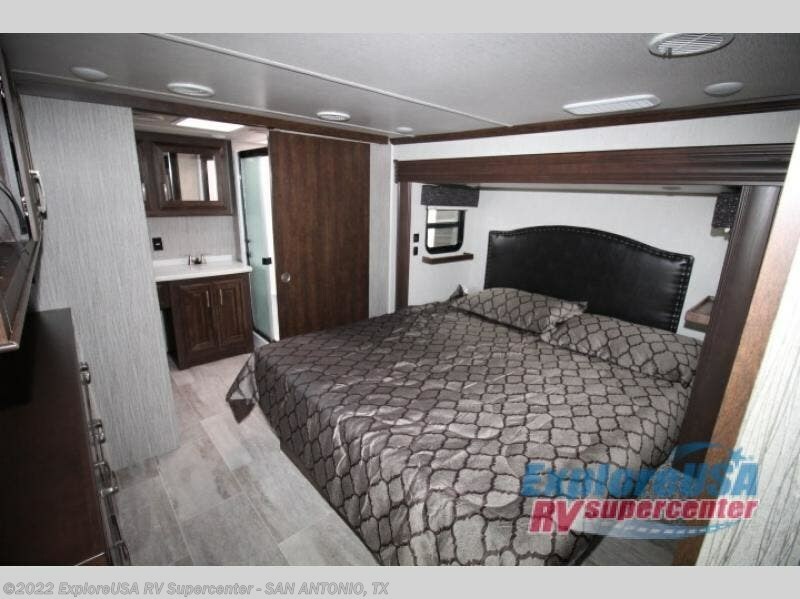 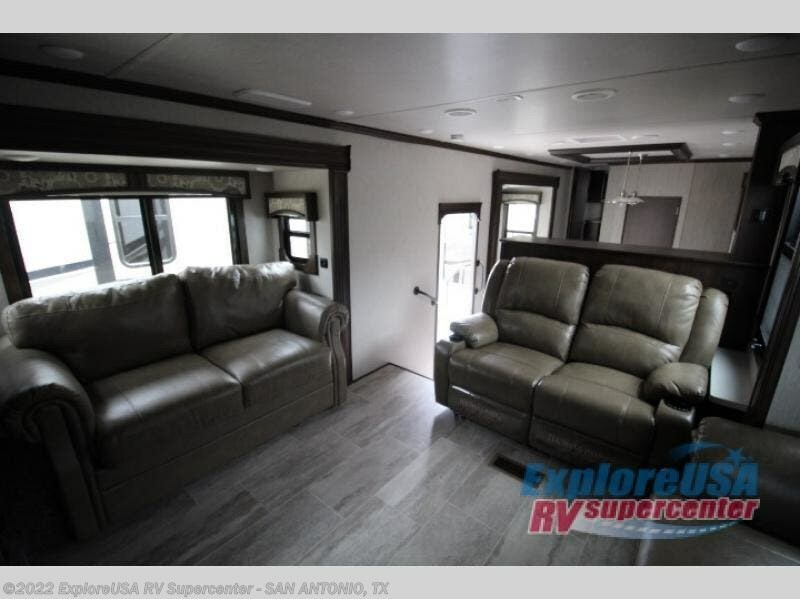 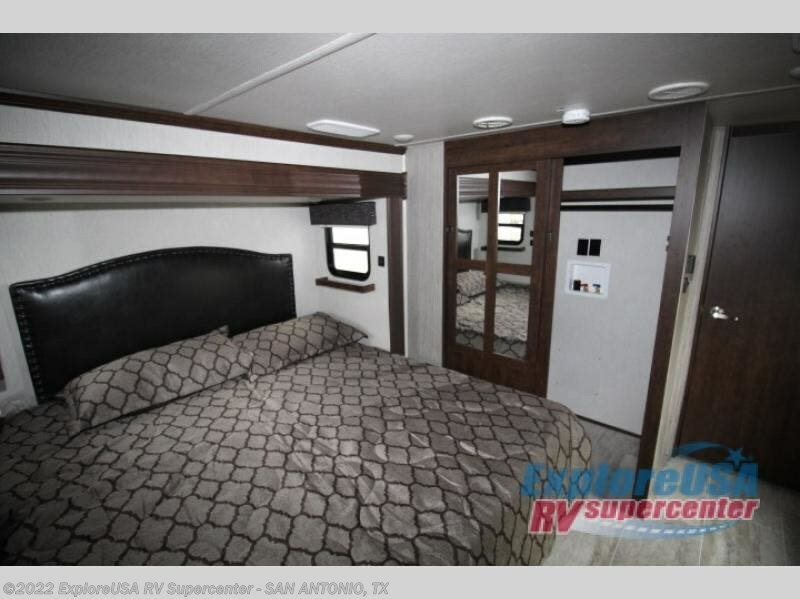 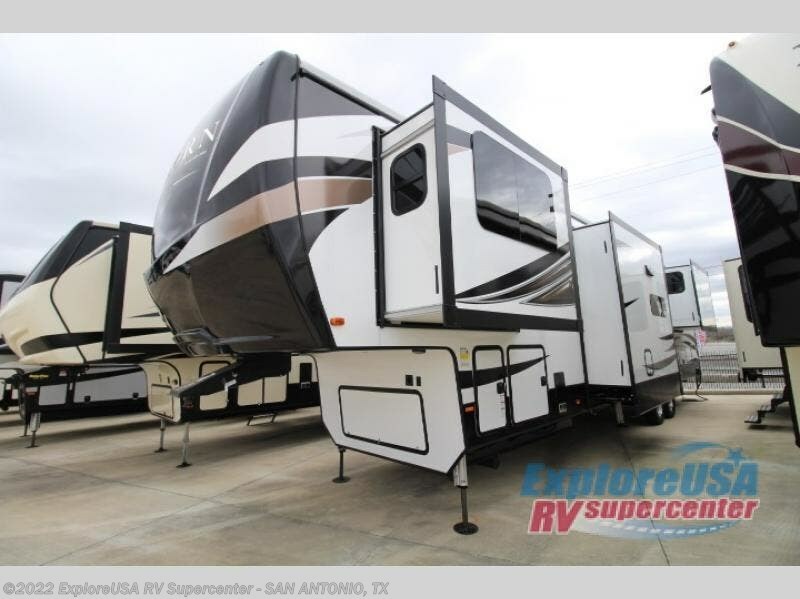 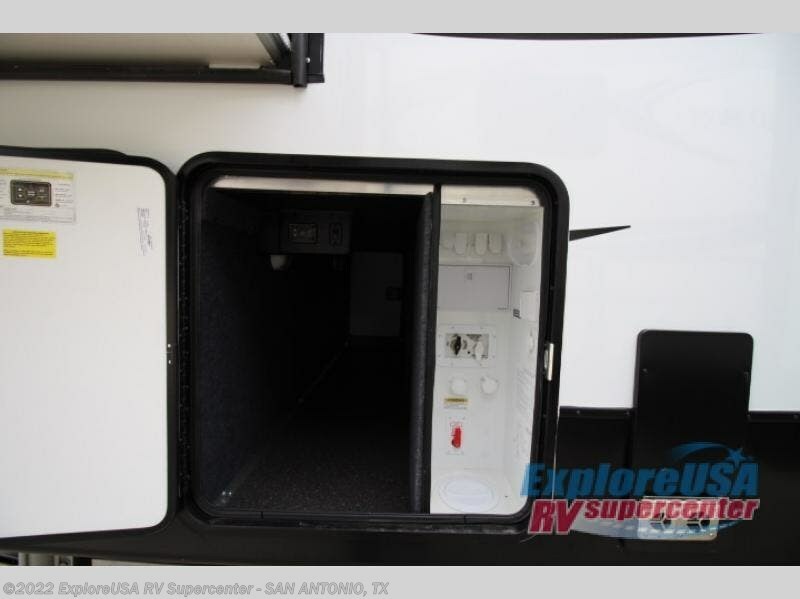 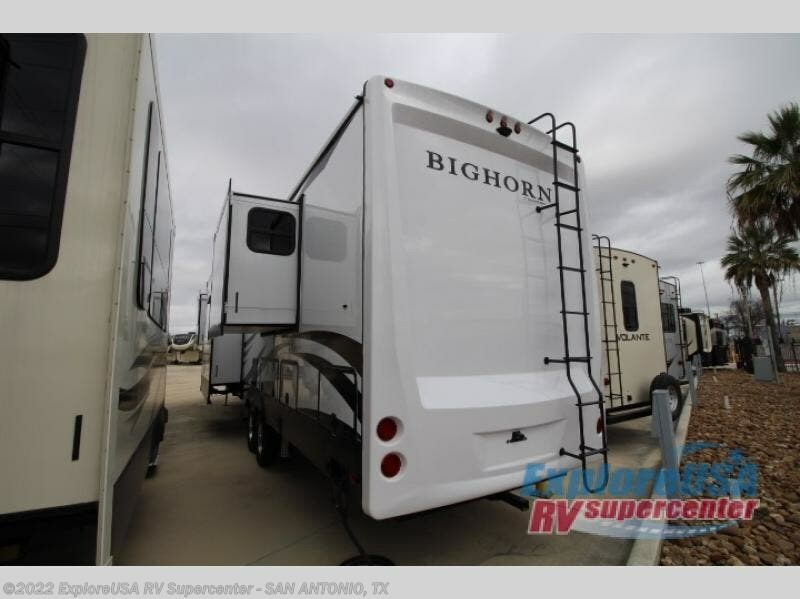 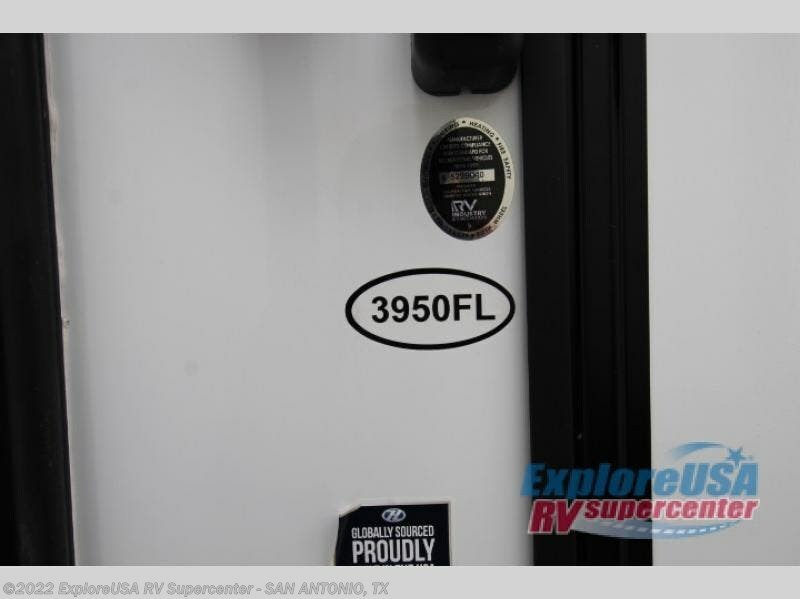 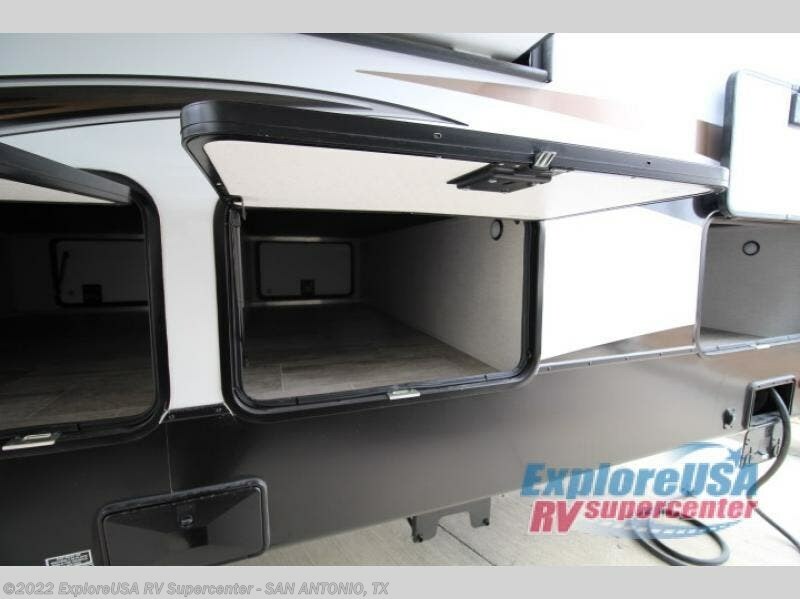 Check out Stock # SA3479 - 2019 Heartland Bighorn 3950FL on heartlandrvsource.com!